We continued the stunning drive from Anchorage to Homer. 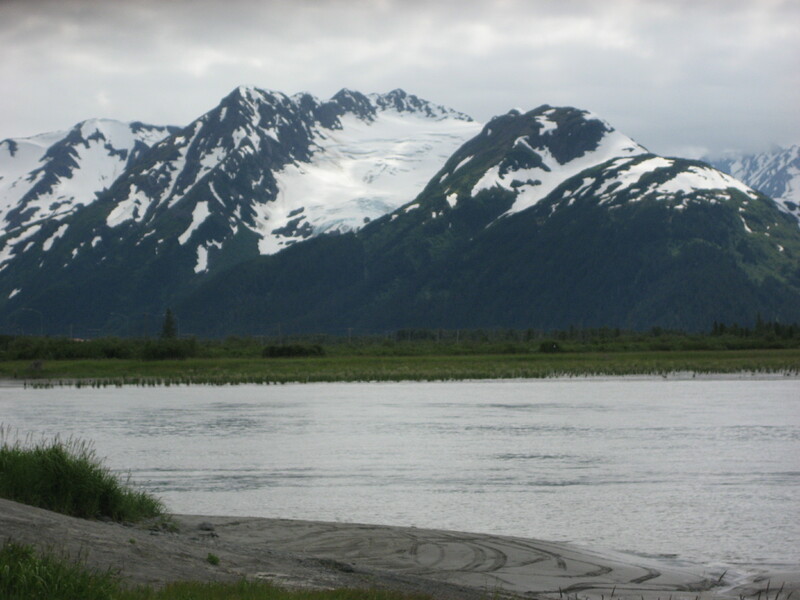 The road runs between the Chugach range and Turnagain Arm. The latter is famous for its big tides and quicksand-like mud flats, which caused Captain Cook to give up on his exploration of the area many many years ago. You can see the mountains and a hint of the mud flats here. 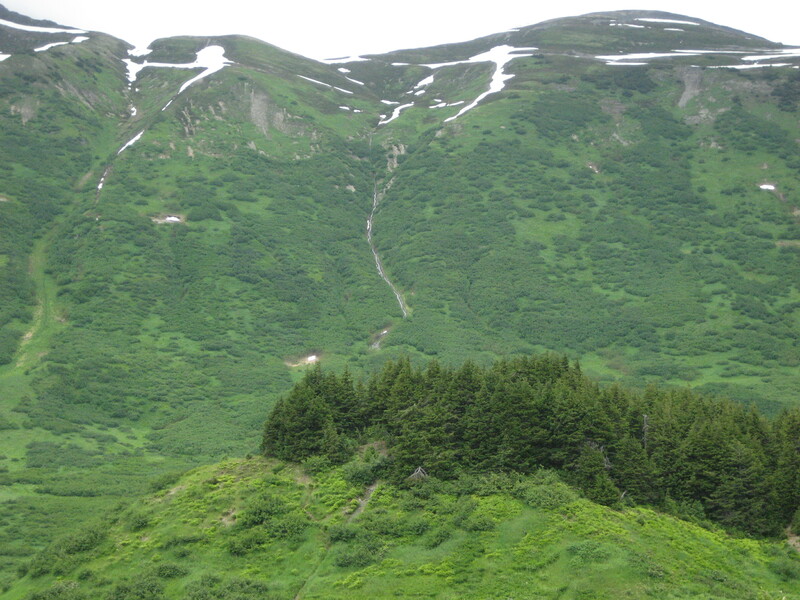 The road then continues up and over Turnagain Pass (elev. 1,000 ft). This was, to the best of my knowledge, my first encounter with tundra. It looks a lot like any other mountain meadow to me, but the fact that it’s tundra makes it extra-special.